The Salthill Hotel is just a 5 minutes drive or a 20 minute walk from the centre of Galway and on the promenade on Salthill. Galway City provides a rich tapestry of culture and heritage, coupled with a diverse choice of activities and pursuits. 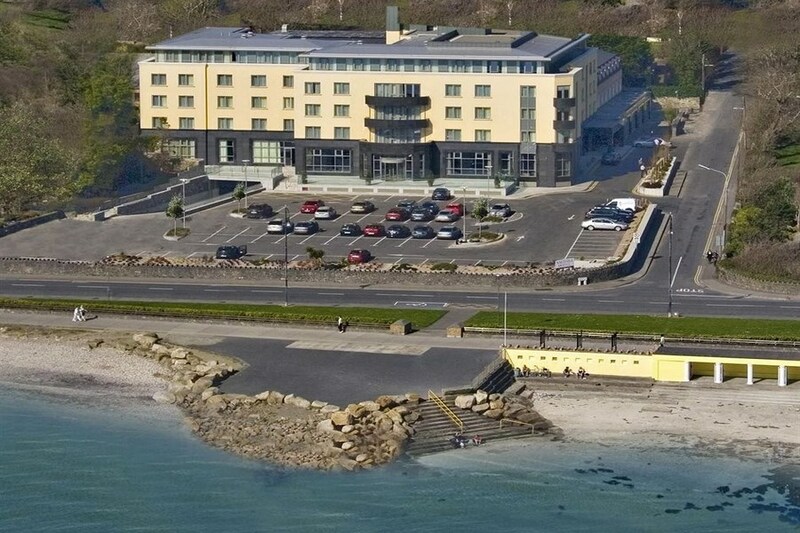 The Salthill Hotel enjoys a fantastic location overlooking Salthill promenade and the magnificent Galway Bay. Take a step unto one of Europes longest promenades and enjoy a short coastal walk into Galway City centre. The tranquil seaside resort of Salthill provides a range of activities for all the family, and is proud to provide a home to the Irish National Aquarium. Fabulous hotel, great pool, great staff, ideal break after the Xmas madness, even with the storm had a lovely few days. Free parking and being coeliac I was delighted the staff are all well informed and lots to choose from. Will definitely be goin back soon. We had an overnight stay November 2017. The service was exellent and so was the breakfast. Perfectly situated near Galway centre but also on sea front for lovely evening walk on promenade. Would stay here again if visiting Galway in future. We had the most wonderful stay at the Salthill Hotel - the location was great, right next to the sea - staff were lovely and the room was nice - did the job. We got great use out of the hotel's facilities. We hope to be back again soon. Yea, Salthill Hotel is fantastic. You get what is on the tin really. Courteous staff, great food, spoil of choice for breakfast. Cosy rooms and location is right near the beach. Swimming pool and the gym facilities are added plus. Highly recommended. Definitely go back. We had a very enjoyable stay at the Salthill Hotel. The service and food was excellent. The bedroom and leisure facilities were top rate.Staff were very helpful and courteous from reception too leisure,dinning. If we are traveling to west of Ireland in the future this hotel will be high on list . Fantastic hotel, food was delicious and staff were very friendly. Looking forward to returning again some day. 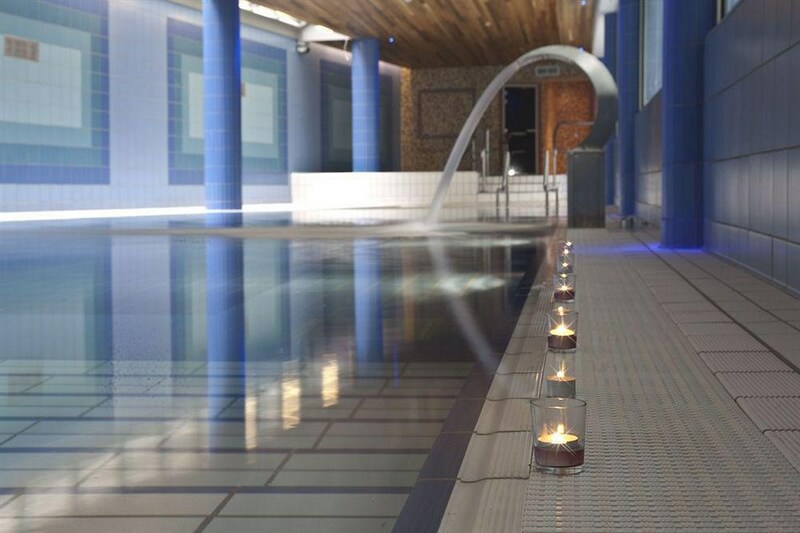 Excellent hotel with a fantastic leisure centre, full 25 metres. Staff are brilliant. I mentioned to receptionist when checking in that I had a hospital appointment at 9:30 in the morning for which I needed to fast and we wouldn't be back until about 10:30. She said breakfast finished at 10 but she would arrange for a full breakfast to be kept for us - and she did exactly that! Only slight downside for us was that there was a food fair on and the hotel was very busy but that's a personal preference thing, we prefer a bit of quiet, others prefer a busy place! Excellent location, across the road from the beach and diving boards. I cannot fault the dinners & breakfast The pool facilities are great. Bar/Lounge very comfortable and relaxing. However when there was no live music, the in-house stereo was loud, making conversation difficult. Lovely hotel and excellent staff especially at reception. Loved our break in The Salthill Hotel. The bed was very comfortable, and cosy. The leisure center was also lovely and the breakfast was delicious with plenty of choice. Great hotel and lovely room for the price we paid. The lesiure facilities are excellent as well. The dinner that we also got with the deal was well above the usual standard that you would get in hotel bundled deals. Thanks! Great location just outside the city. The Atlantic at your back. Rooms were good, a bit small but had all we needed. The staff were very good. The breakfast is very good(Buffet). Music in the bar at night. fab hotel in a nice location.great pool.entertainment in the bar both nights of our stay but wasnt my type of music.would stay there again. Lovely hotel however some very rude bar and waiting staff.receptionist was lovely customer service should be across the board.Hotel is such a fine hotel be a shame to have rudeness let them down. Facilties fab bar food wasn't great but we did enjoy our stay. Enjoyed another short break in the Salthill Hotel. All staff we encountered were lovely and enjoyed the bar food. Hotel location is fantastic, lovely staff, room spotless and food excellent. Would stay again. We had a really enjoyable stay. Rooms, food and staff were top class. Location next the promenade made for enjoyable walks. A relaxing hotel, nice staff (apart from one lady). Pool facilities were absolutely excellent. Very comfortable beds. Disappointed with buffet, food wasn't very hot. Room was as expected, clean and spacious for a four star. Lovely break in the Salthill hotel. Great location on the prom and a short drive into Galway city. Nice atmosphere and very friendly staff. We'll definitely be back !!! Booked 3 rooms for one night dinner bed and breakfast. Everybody enjoyed their stay. Delighted with our rooms, menu choices in the prom restaurant, service excellent and breakfast selection was great. All staff we encountered were lovely. The only complaint we had was that we were being charged for the tea's and coffees after our meal which were included in the price. We will definitely be booking this hotel again as we have been there many times. Had a 2 night family stay with our son. Will definitely be back. Hotel is lovely right on the seafront/salthill promenade. Staff were very friendly and efficient and nothing to much bother especially when our son got sick and needed a doctor. Food was good as was breakfast. Our room was a tad small for a family room and the only downside was there was no bath in the bathroom just a walk in shower. Some rooms apparently have baths some have showers. Overall we had a great stay and will definitely be back. We didn't get to use the pool or leisure center as our son was sick but will do next time we are staying. We had a great stay in The Salthill Hotel. The staff were so friendly & welcoming, our room overlooked the promenade & the view of Galway bay was fantastic. The food in the restaurant & bar food was top quality as was breakfast pancakes & poached eggs to order all yummy! We didn't get a chance to use the leisure facilities. 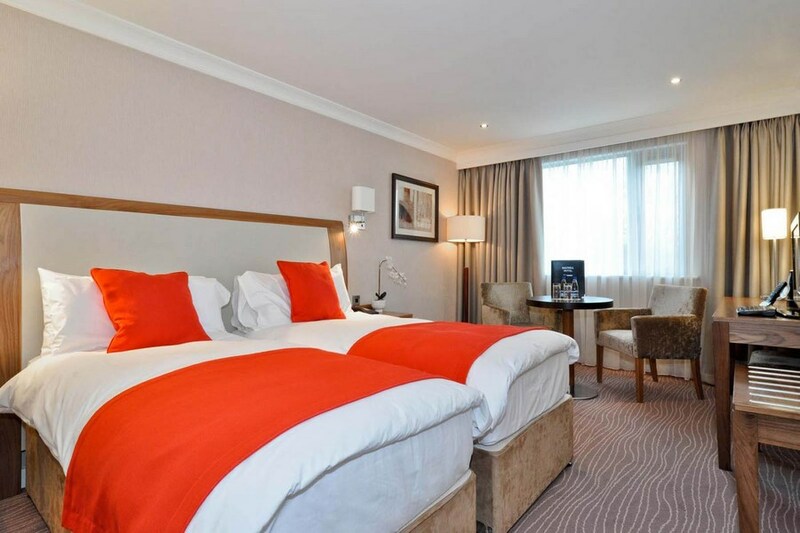 We would highly recommend this hotel for a lovely relaxing break we will definitely be back. lovely clean hotel. food good. staff very friendly . would stay here again. Stayed in hotel for 2ngts with my husband and two kids. Had a lovely stay as always. Food was great. Kids had a great time in pool. Look forward to coming back again. Lovely hotel. Staff excellent. Great views, bar, food. Highly recommend. Will definitely return. Really enjoyed our stay here. Room was lovely , cleaned daily and breakfast service was fantastic. No complaints. Good rooms and comfortable beds, the bar with night entertainment is fantastic, great breakfast. The 25 m. pool is also great for a swim and to finish off an excellent stay, a walk on the sea side. Hard to beat. Hotel exelent,rooms like new and very confortable,bar staff specially guy from Romania super pro.Reception staff needs a litle bit smile in there faces when greeting costumers. Love this hotel have stayed here five or six times. Bar is great and food is excellent,staff are extremely helpful and friendly. Location is perfect with the prom so close for a bracing walk and bus stop close to go into Eyre Square all in all great for a relaxing break. Very Good Hotel. friendly staff, nice bar and resturant, food very good. leisure facilities excellent. would difinitely stay again. we stayed a Friday night in November and were blessed with glorious weather. its our 3rd time to stay at the Salthill hotel. Our room which looked onto a central courtyard was clean and comfortable. Our dinner in the Prom restaurant was lovely, good choices and well presented. There was music in the bar later, enjoyed by a good crowd. Breakfast was the full Irish with the usual extras. we used the pool and sauna facilities which are all 4 star. Its a lovely walk via the promenade into Galway (40mins) and a regular bus service will take you back.